January 1st is an important date for a lot of people. It’s a fresh start – the first day of a new year – and can be the perfect time to set healthy living goals for the whole family. Committing to any new lifestyle change (getting fit, eating healthy, or losing weight) isn’t always easy, but the payoff (if you stick to it) can be huge! Making that new years resolution is a great first step, but staying on track through December 31 requires a whole lot of will power and discipline. Most people start to falter on their resolutions around mid February, and by the Summer most of the resolutions are a distant memory. So this year, here are 5 tips to help you stick to your new years resolutions and make this year the healthiest one yet! Tip #1: Be realistic and set concrete goals. The vaguer your resolution is, the harder it will be to stick to, and the more overwhelming it will seem. For example, instead of saying that you “want to lose weight,” try saying that you’re going to exercise for 30 minutes at least 3 days a week. Tip #2: Focus. Most people have a million things they want to accomplish at any given time. But the easiest way to stick to a resolution is to have just one. So – if you want to learn to speak another language, get more sleep, exercise more, learn to cook – etc – pick the one you want the most and focus on that for 2015! That way you can devote your energy to it and be more likely to succeed. 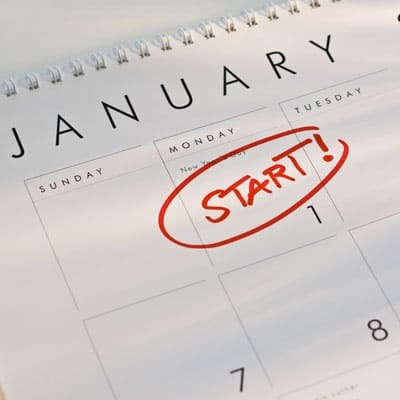 Tip #3: Incorporate your resolution into your daily or weekly life. You want your resolution to become so “systematic” that you don’t even have to think about it after a while, it’s just embedded in your day to day life. For example – if you want to exercise more, decide which days each week (pick the same days each week if you can) that you’re going to the gym, at what time, and pack your gym bag the night before to have everything ready to go. Tip #4: Find a buddy. Find a friend who also wants to make a change, and establish a regular check in (daily/weekly) for support and accountability. Even better if you can find someone who has the same goal as you, and you can accomplish the goal together! Tip #5: Don’t beat yourself up! If you happen to “fall off the wagon” for your resolution one week, don’t be too hard on yourself! You have so many more days left in the year, one mistake doesn’t have to be the end of your hard work towards your resolution. For example if your goal is to work out 3 times a week, and you miss an entire week, just decide that the next Monday you’re going to have a great workout because you’re so well rested! And keep going from there.